Are you a small business looking for an intern? Confused about how to reach out to Generation Z? Who do you contact at a local college? The Small Business Development Center at the University of Scranton can serve as a point of contact for posting internship opportunities. The Small Business Internship Initiative is a collaborative program designed to help small businesses learn about, attract, and host high-value internships and connect area small businesses and college students. The Greater Scranton Chamber of Commerce, in partnership with The University of Scranton SBDC’s Small Business Internship Initiative is pleased to offer our membership businesses the opportunity to participate in the Small Business Internship Fund. Launched in 2019 to establish a College Internship program, the Fund is designed to place our best and brightest students in Chamber Member Businesses. 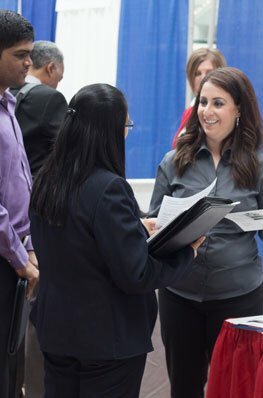 The Greater Scranton Chamber of Commerce, through the online job bank is providing a platform to connect job seekers with employers. Employers can grow their workforce by posting open positions, while job seekers can view available positions.